Note for your diaries in the New Year. Karen H is organising the Grimsby Tri Club annual dinner for Friday 5 th February 2016 at the Mill House, Covenham. 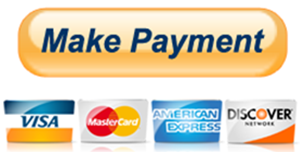 The cost will be around £16 per head and Karen will confirm exact cost when the menus are available. 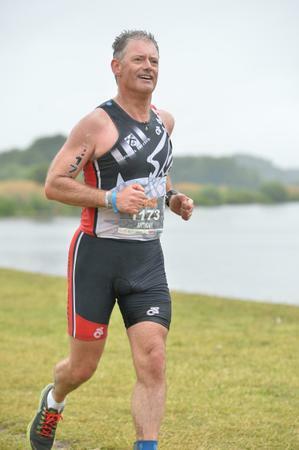 We thought that other members might be interested in a race report of Tony Ogden’s recent experience of the Outlaw Triathlon. I did my first triathlon in 1989 and graduated up to ironman distance by completing The Longest Day in Wolverhamption in 1996 and 1999. In those days, there was only one ironman distance event each year in the UK, and a race with 100 competitors was a big field. 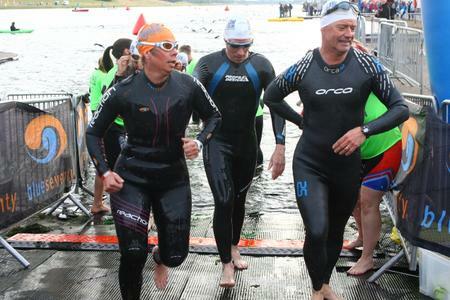 When the golden handcuffs (ie married life) and the kids came along I took a break of 11 years from triathlon before waking up to the realisation that I had not felt quite the same since and so I signed up for the very first Outlaw triathlon in 2010. When I told Mrs O, she gave me one of those motivational one-liners that only a long term partner can- “You idiot, you’ll never do it.” That seemed reason enough. I also did it in 2012. This year’s performance marks my 50th year, and 26 years since my first triathlon, which just goes to show that if it is worth doing, then it is worth doing badly. 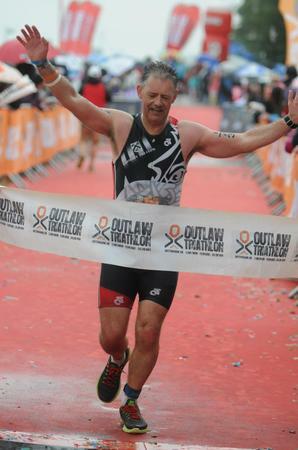 Just for the record books, I managed to complete The Outlaw yesterday in a time of 13:02:55. It was my best time for the course by 22 seconds. 53rd out of 101 finishers in my age group- there has to be some advantages to turning 50- and 588 out of 986 finishers overall. No dramas, just slow! Thanks for the report Tony. If any other members want to share their recent race experiences, please forward your report to Gary T.
It was another fine evening for last night’s Duathlon. Alan set out the 2-10-2 course to entertain everyone and it didn’t disappoint. An excellent turnout of 13 participants, all in high spirits, before the final 2 mile run that is. Karen and Sam elected for a shorter 1 mile option, otherwise everyone tackled the full distance. Once again, Gary T romped home in a blistering time, with Shane taking the honors on the night for the fastest bike split. Thanks to David Herriot who took some excellent pictures which have been posted in the club Facebook group. As always, thanks to those who supported this event by marshalling and time-keeping. We (literally) cannot do it without you. And, of course, thanks to Alan and Sarah for setting up another great club event. Finally, just a reminder that the next event is June 25th. I heard a whisper that the fabled “Grueller” may be returning (2-14-2) so we’ll see if that can tempt Shaun R out to challenge our Chairman. 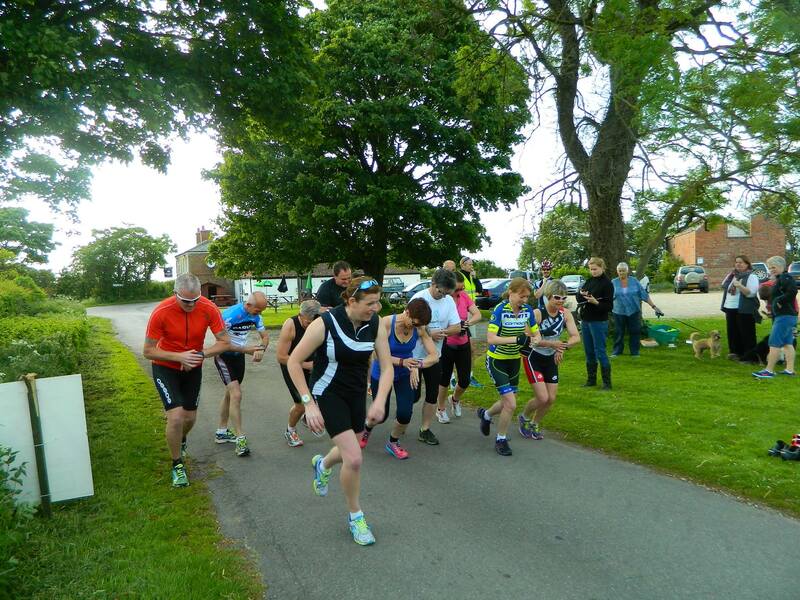 Good luck to everyone racing at Woodhall on the 14th June. Thanks to all those who have contacted me about the club dinner. I will send out the menu nearer the time for you to make choices. In the meantime if there are any other members attending please let me know by Monday 23rd February . The date is Friday 27th February 7.30pm for 8pm dinner. 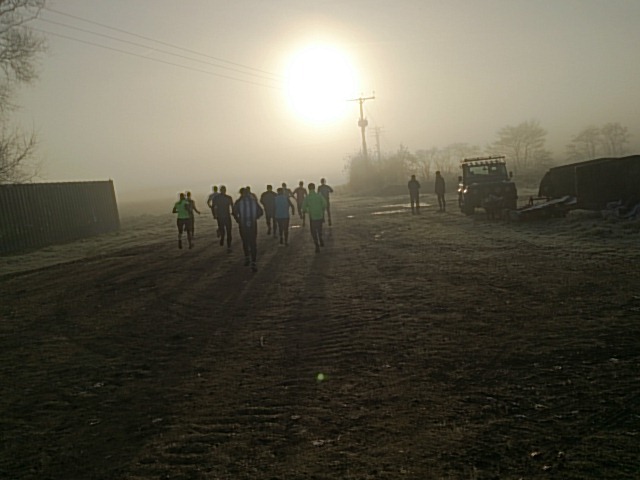 Thanks to Charlie B running last week’s Duathlon and to Pete Goy for marshalling. Well done to Nick Bailey for flying the Grimsby Tri flag at yesterday’s Outlaw. Nick completed the iron distance event in 12:11:58.